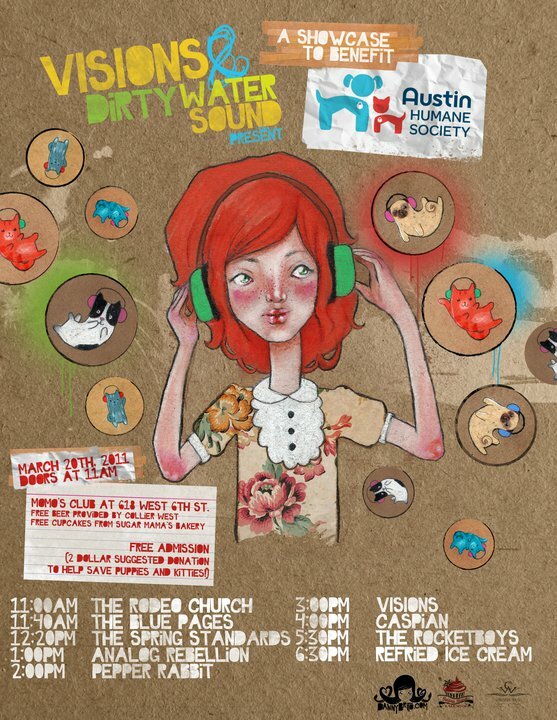 Visions and Dirty Water Sound recently announced their joint unofficial SXSW showcase that will benefit the Austin Humane Society. The event will feature acts such as Rodeo Church, Analog Rebellion and, of course, Visions. The showcase is free to attend, but a donation of $2 is suggested. All proceeds will be donated to the Austin Humane Society, Austin’s largest no-kill animal shelter. Collier West is providing free beer for the event and Sugar Mama’s Bakeshop is providing free cupcakes and pastries.